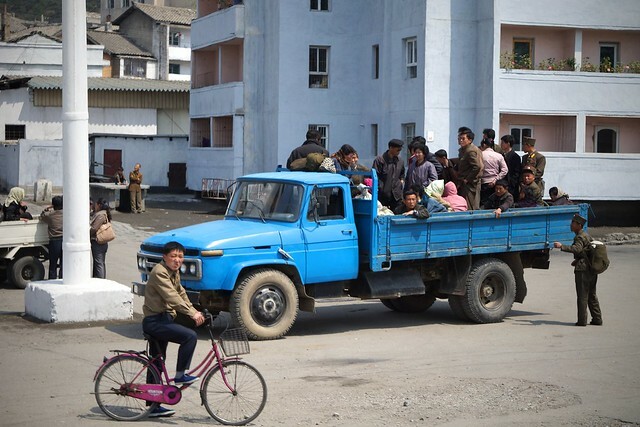 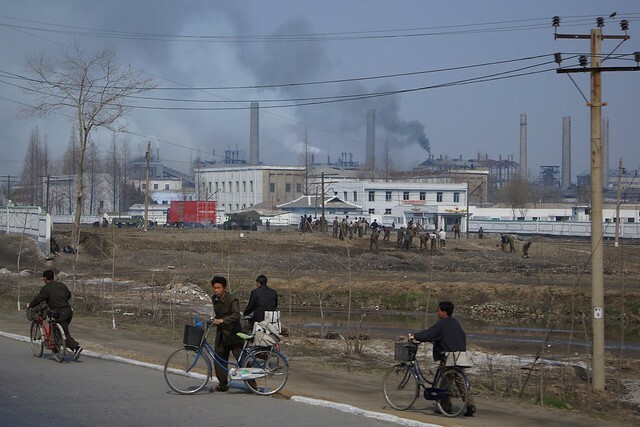 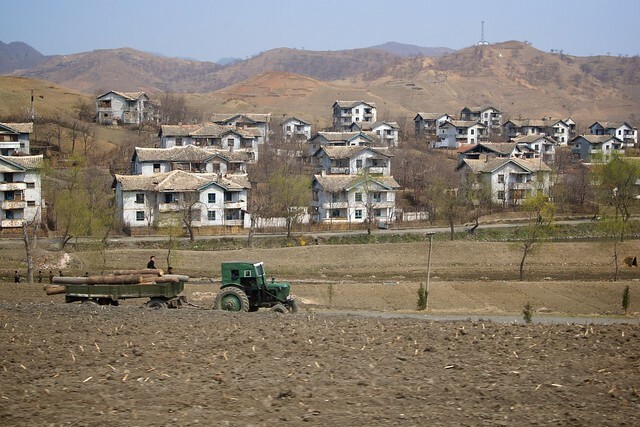 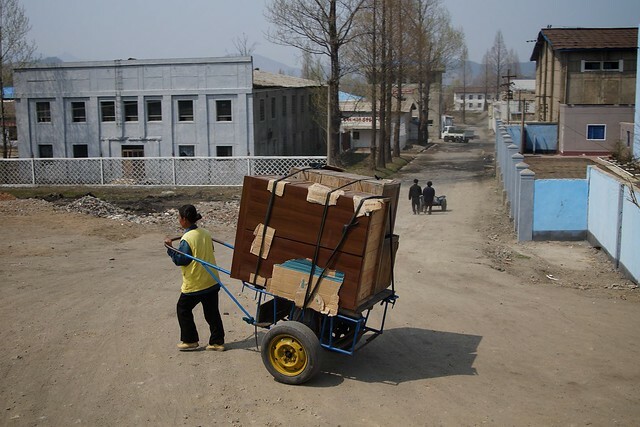 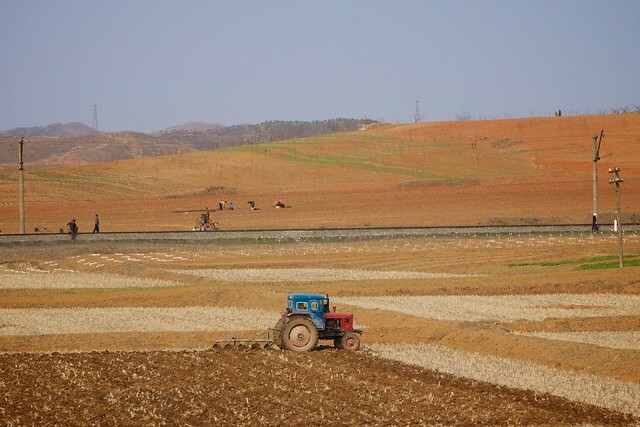 More rare photos from the North Korean countryside: road construction, transportation, industry, and farming in Hamhung/Wonsan region. 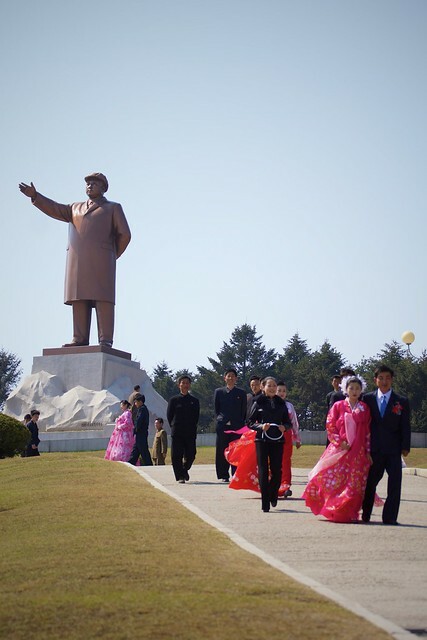 Please note that tourists are not generally permitted to take photos such as these due to the government’s fear that they could be used to portray the country in a negative manner. 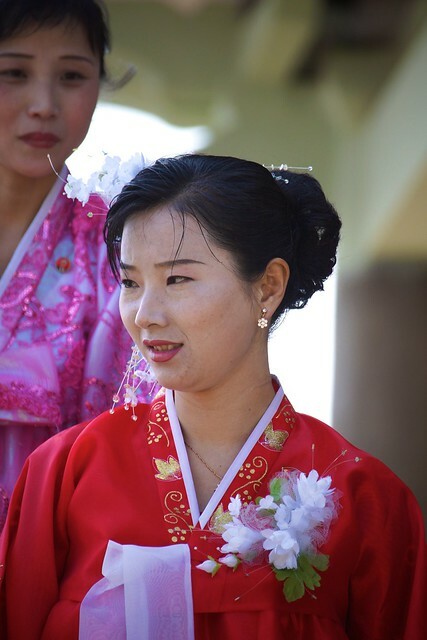 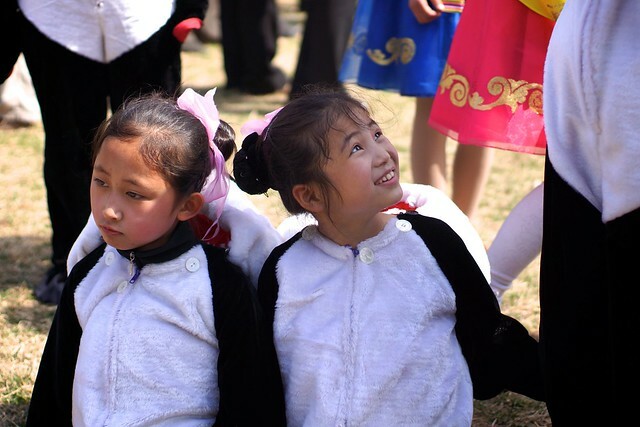 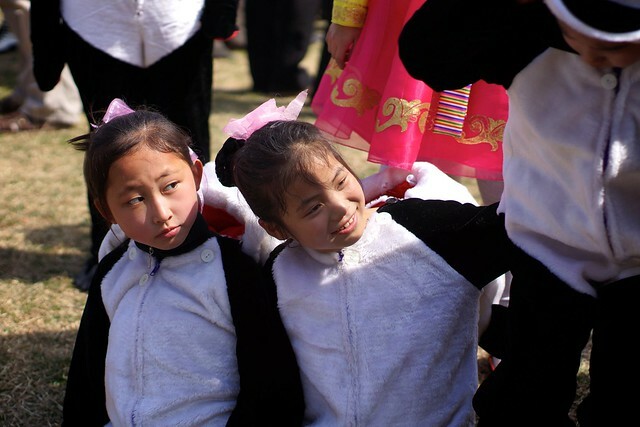 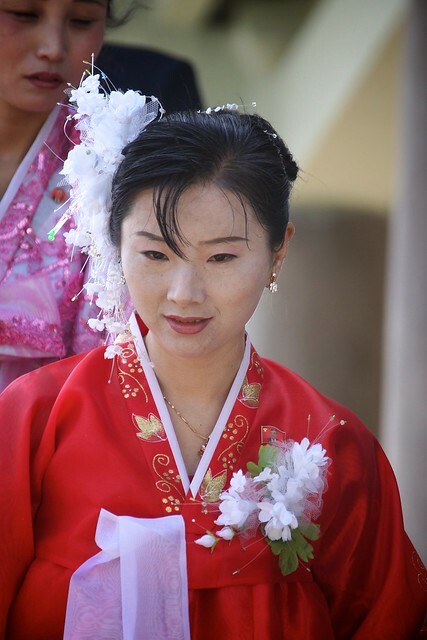 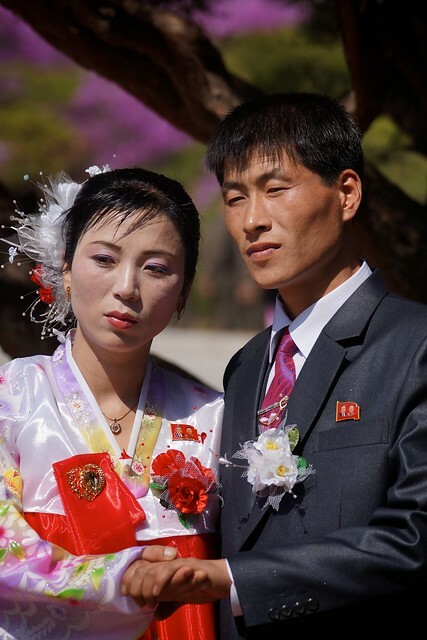 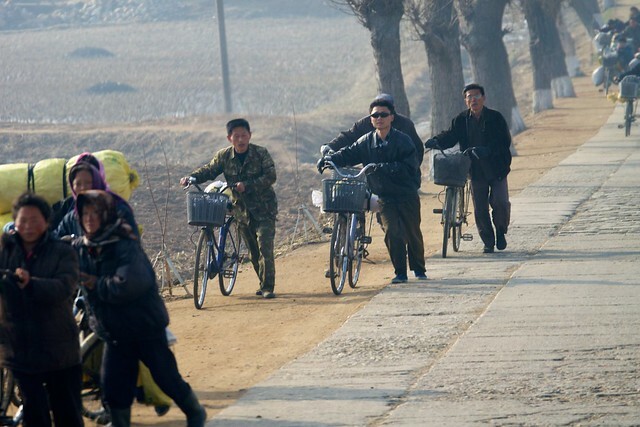 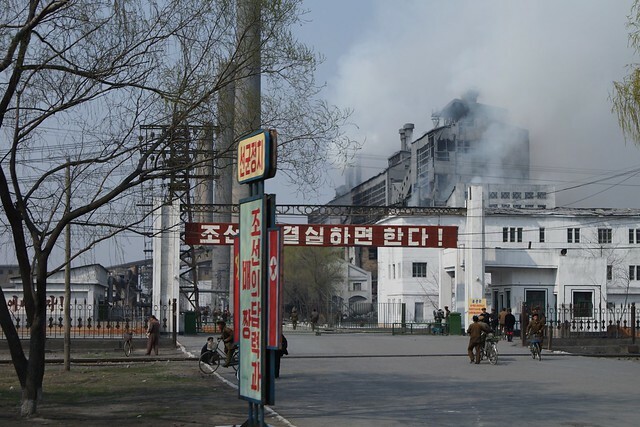 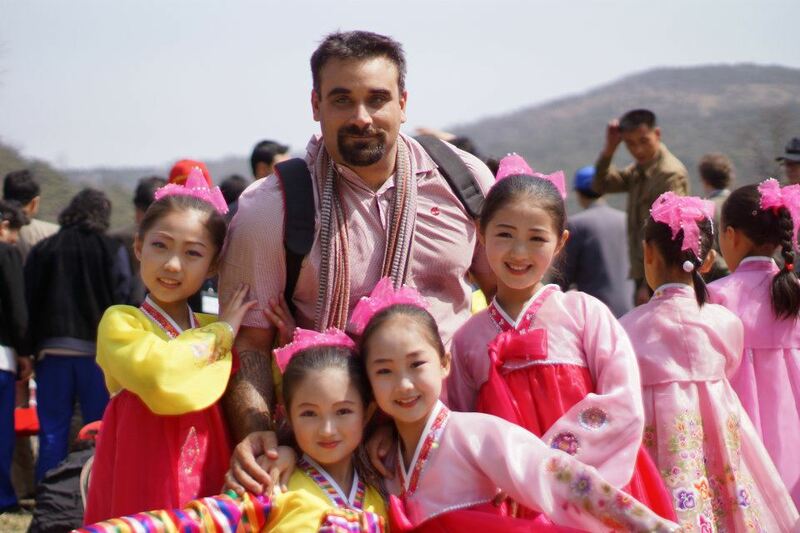 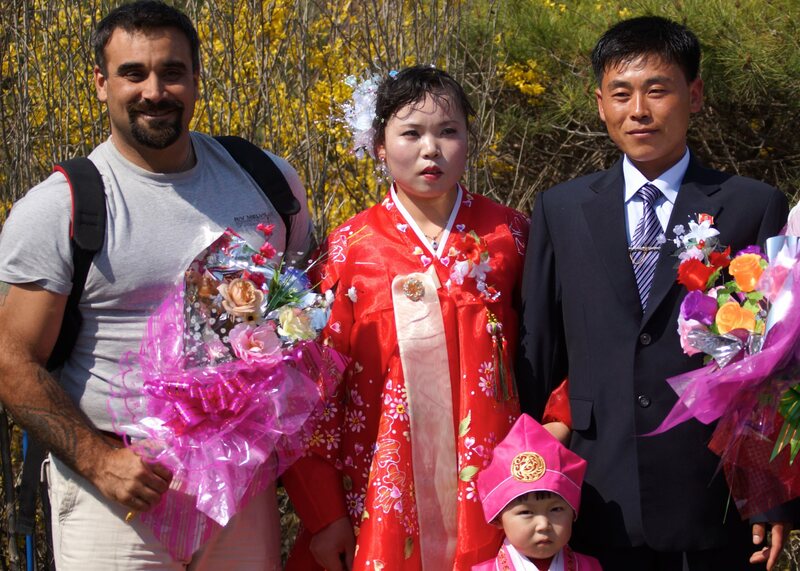 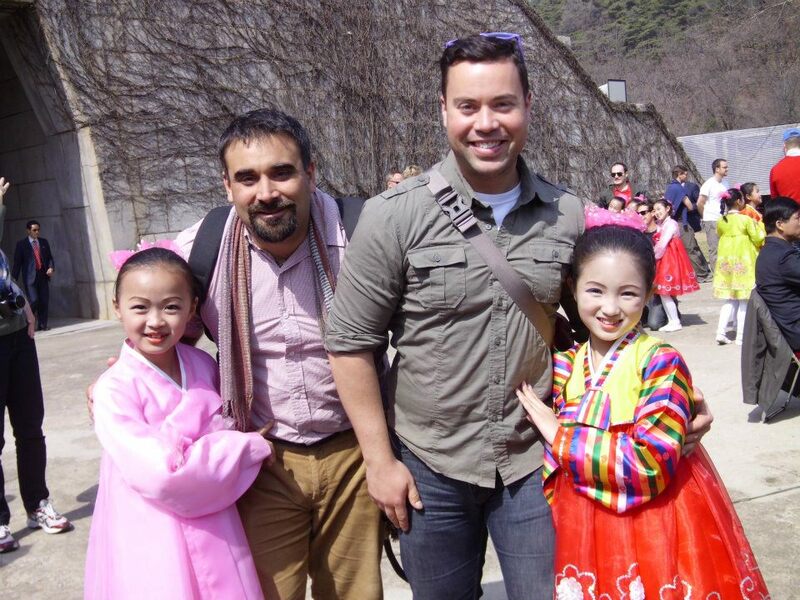 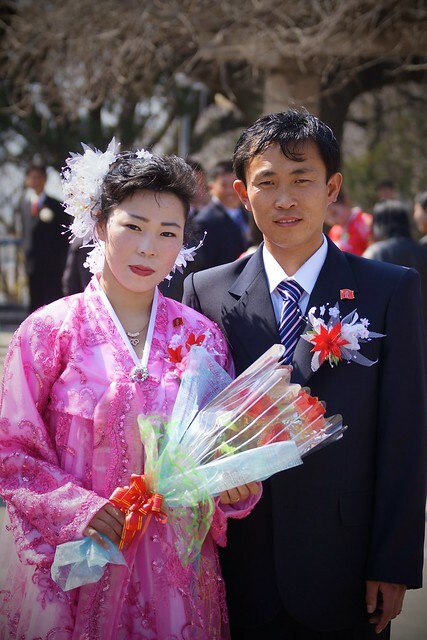 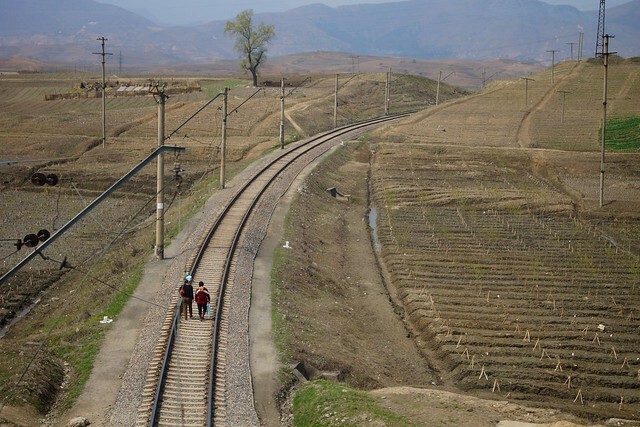 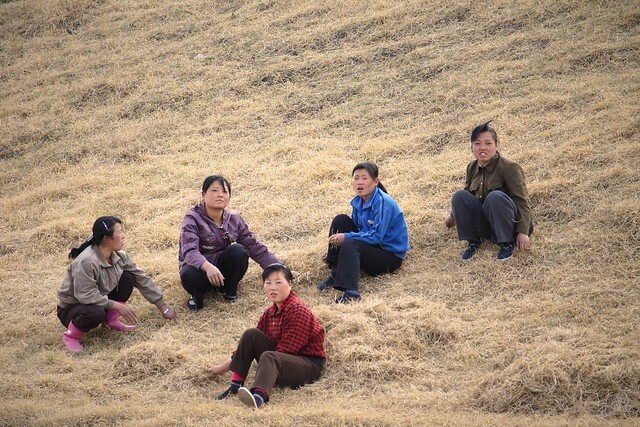 Our guides gracilcly permitted me to take photos of the “beautiful countryside”, which I post here with total respect and in appreciation for the DPRK rural way of life. 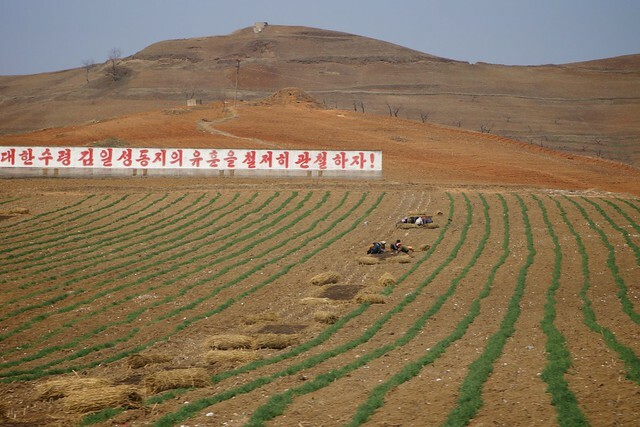 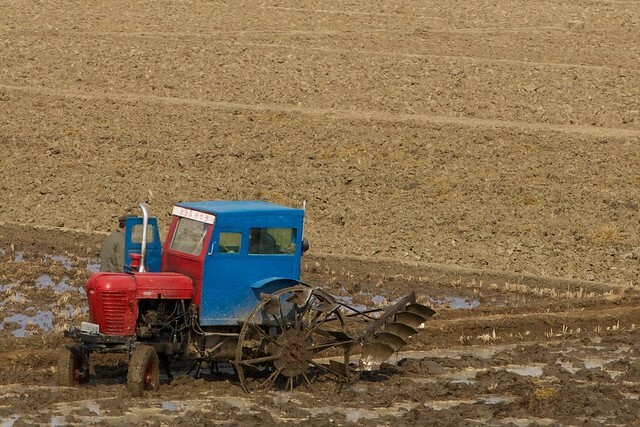 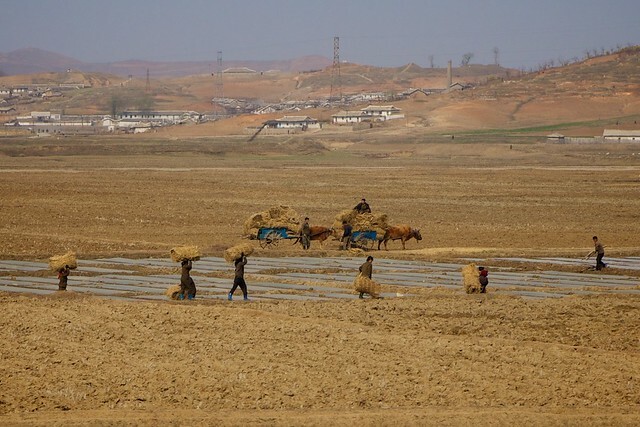 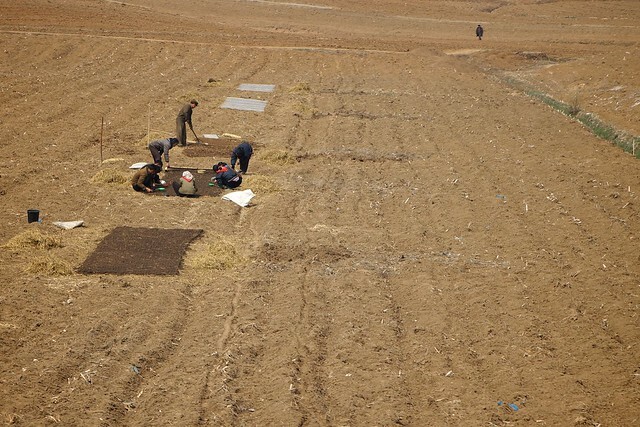 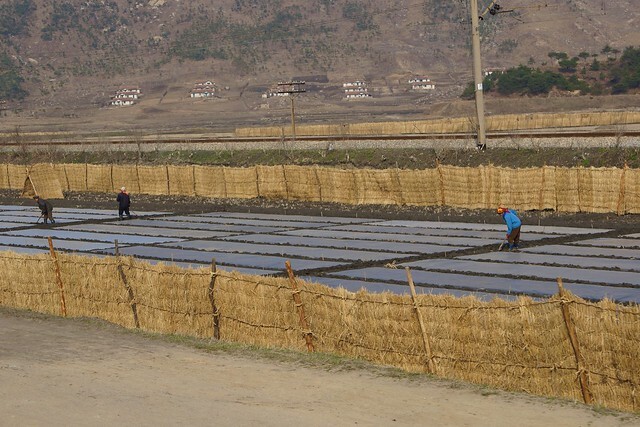 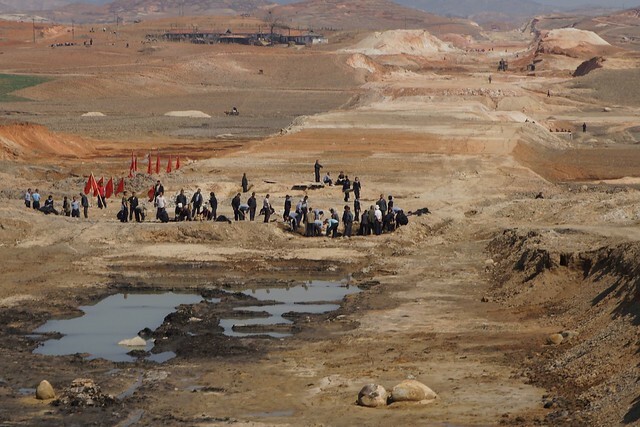 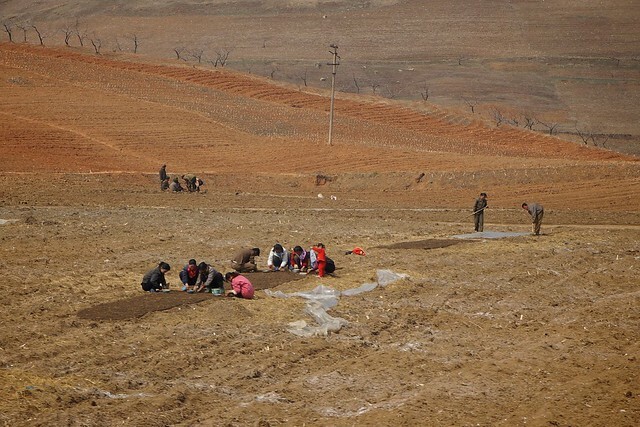 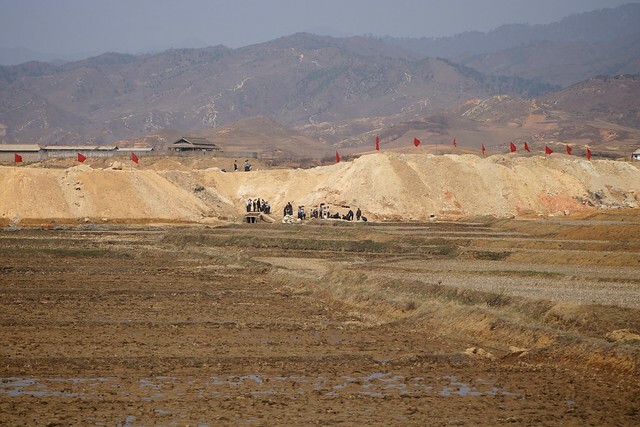 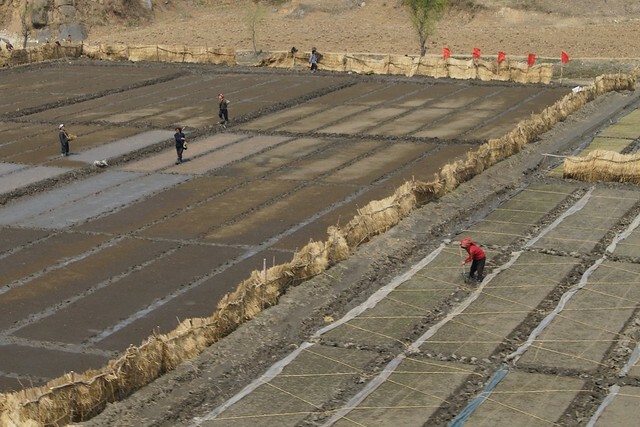 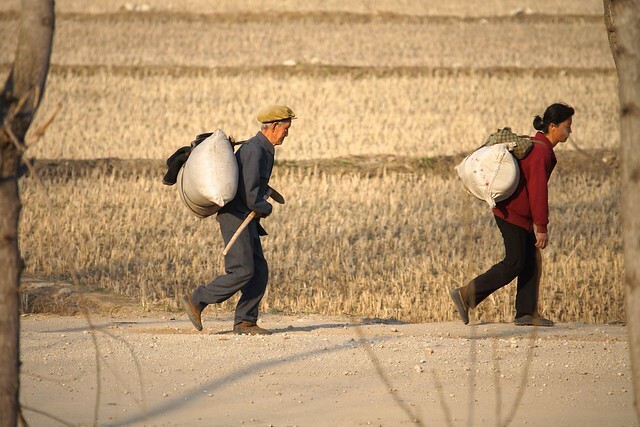 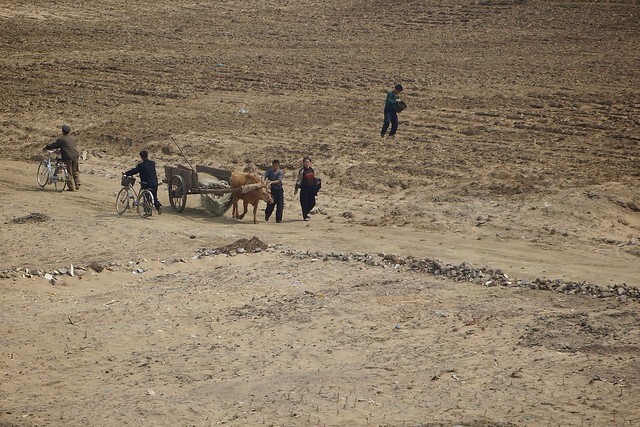 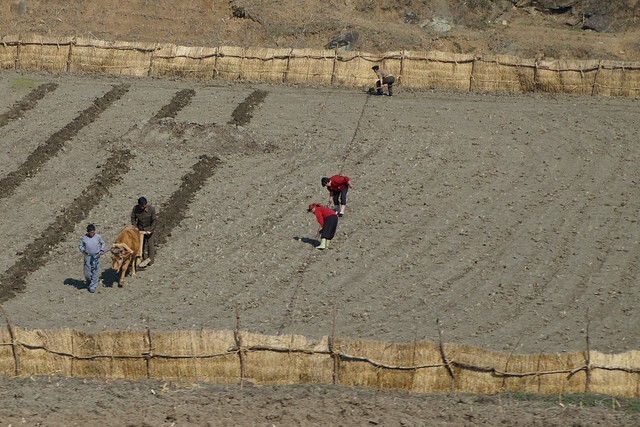 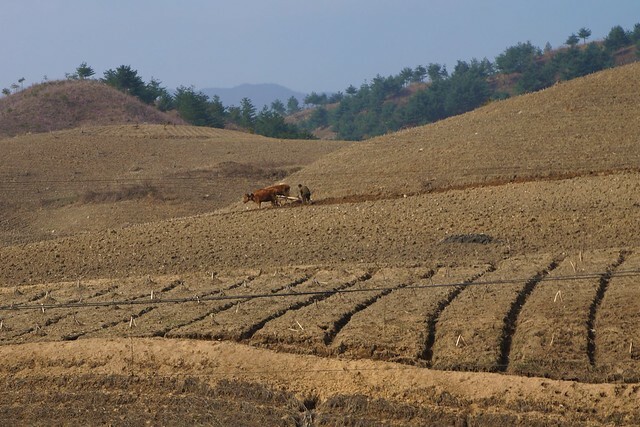 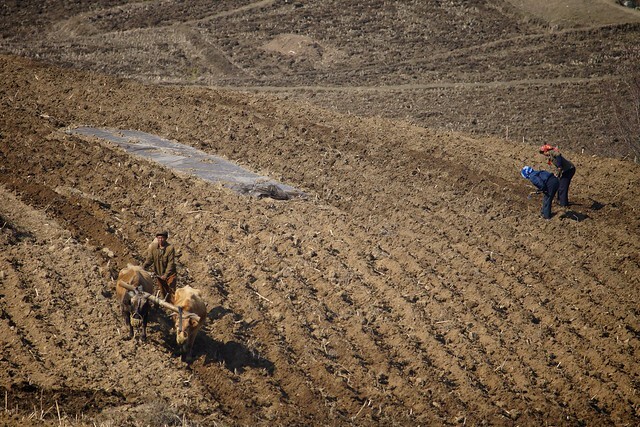 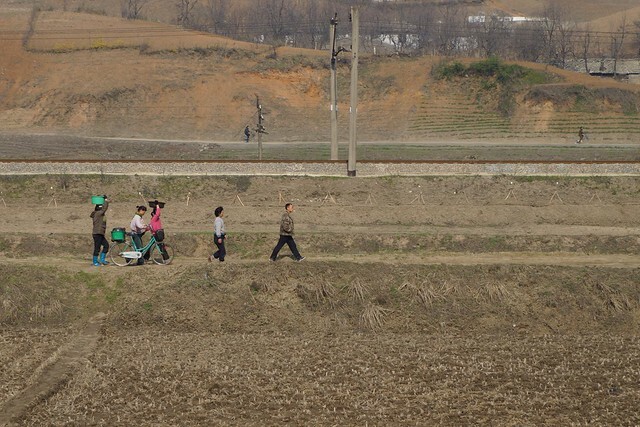 Rare photos of farmers in the North Korean countryside (between Hamhung and Wonsan) preparing fields and working for the upcoming planting season. 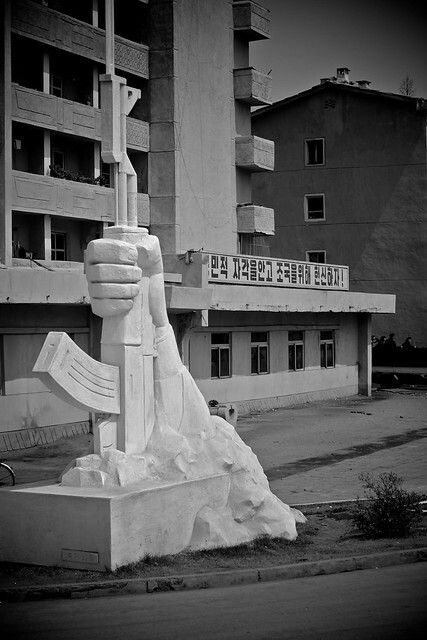 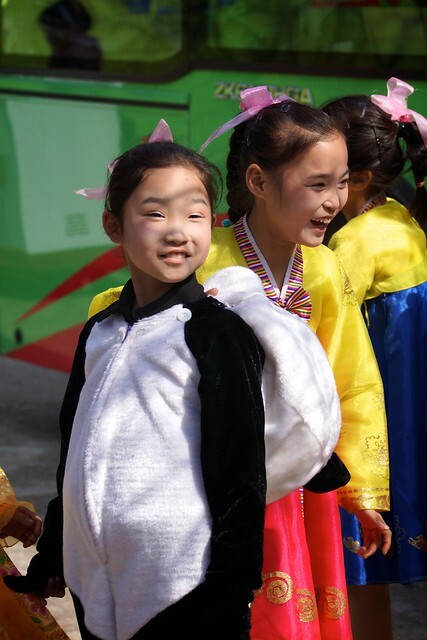 Soldier squirrels, missiles, and AK-47s raised defiantly into the air, just a few examples of the roadside attractions (propaganda) commonly seen in towns outside Pyongyang, North Korea. 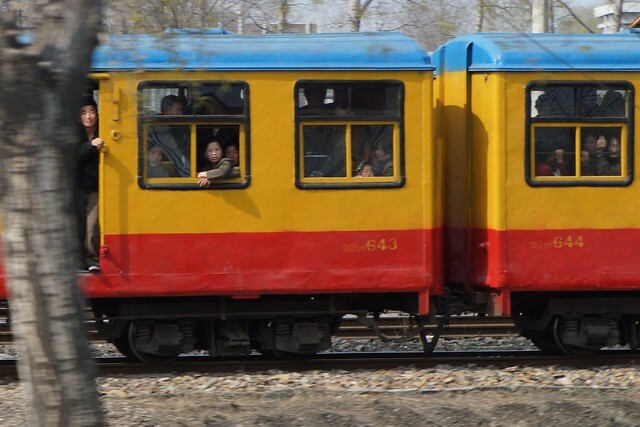 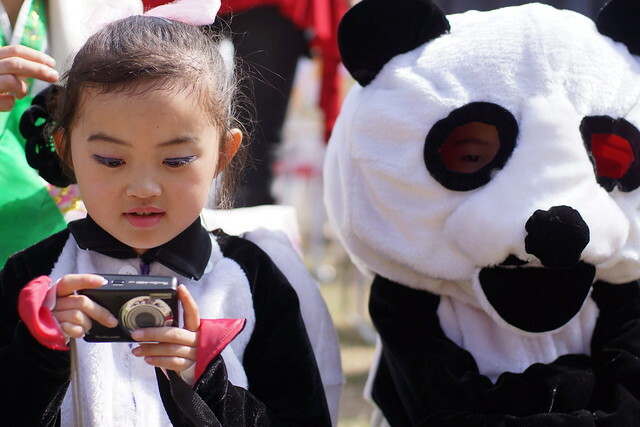 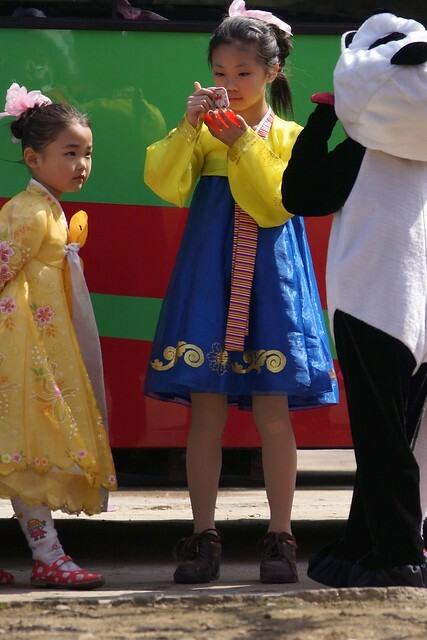 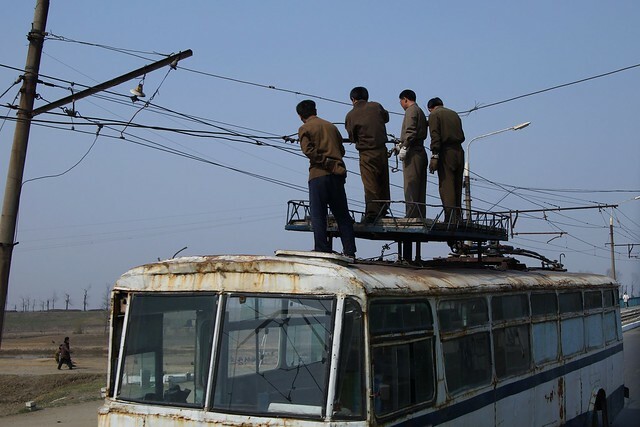 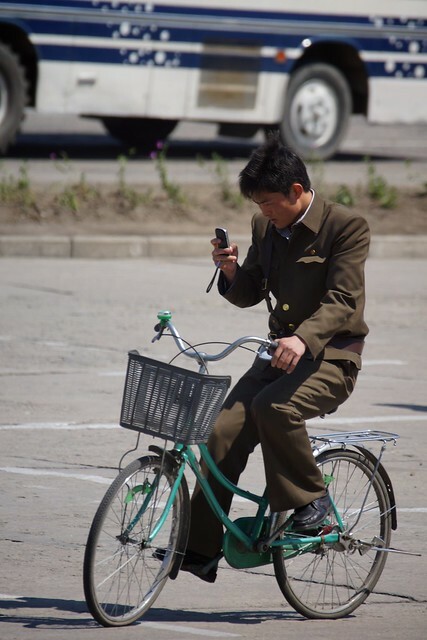 Cell phones may have arrived in North Korea, but apparently public service announcements teaching the dangers of texting and driving haven’t. 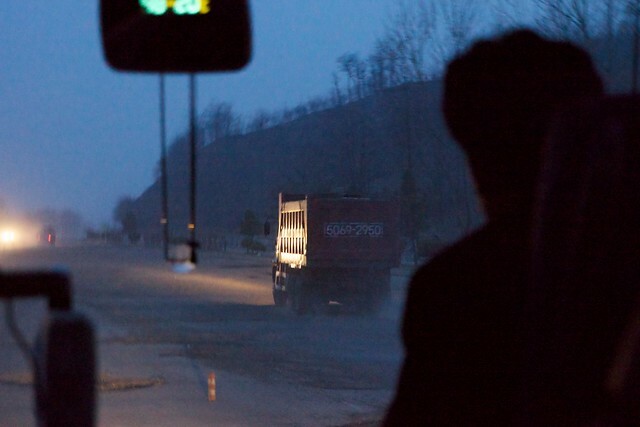 Southbound to Nampo on the 10 lane Youth Hero Highway. 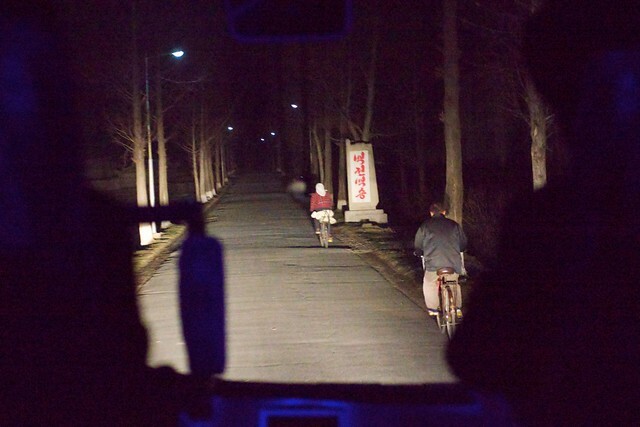 Navigating small country roads on the way to the Nampo hot spring hotel.